The co-main event will feature a battle of bantamweights trying to get back into the win column. Former title challenger Frans Mlambo is coming off two losses and will face Arnold Quero from France. David Bear from France will make his return to face the dangerous contender, Pawel Kielek from Poland. The Polish sensation is coming off the biggest win of his career, against Mehdi Baghdad, and hopes for another victory. 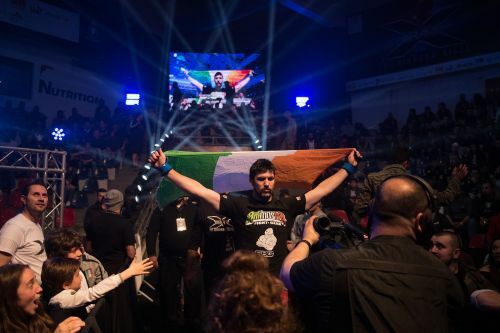 Ireland’s Will Fleury also returns to the Brave Combat Federation after a victorious debut. Fleury faces Carlos Graca. 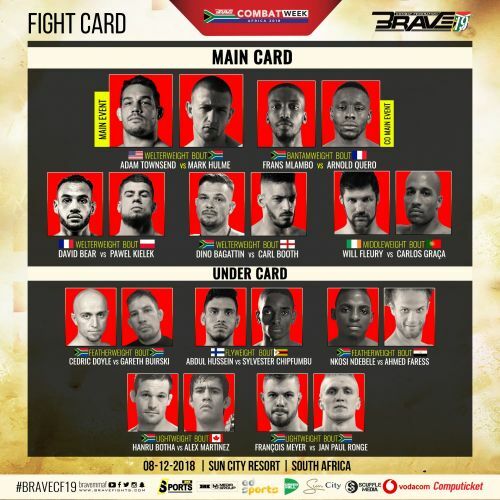 The other bouts features Cedric Doyle against Gareth Buirski and Nkosi Ndebe against Ahmed Faress in featherweight bouts, IMMAF Gold Medalist Abdul Hussein will return after his loss at his promotional debut with Brave Combat Federation to face Sylvester Chipfumbu in a flyweight bout. Hanru Botha will face Alex Martinez and Francois Meyer will face Jan Paul Ronge in lightweight bouts.